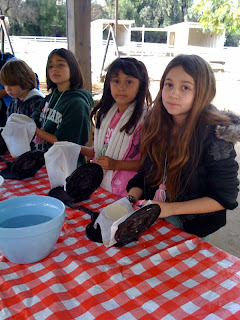 It looked like you had a wonderful trip to Leonis Adobe. All the photos gave me a great idea of what you did there. I especially liked the photo of the adobe bricks and the goat (I did not know about rectangular pupils...how interesting!). I think it's great that you are posting your trips. In doing so, you are teaching others! Thanks for taking the time to read our blog and comment! You are one of our loyal readers! Do you use the RSS feature to follow our blog? We love the pictures that Mrs. Yollis took and how we got to experience them up close! We especially liked the Texas long horns rear-end. 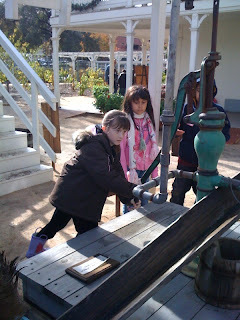 The field trip to Leonis Adobe was really fun. I liked the Texas Long Horns and the goats. The most exciting part was feeding the goats.